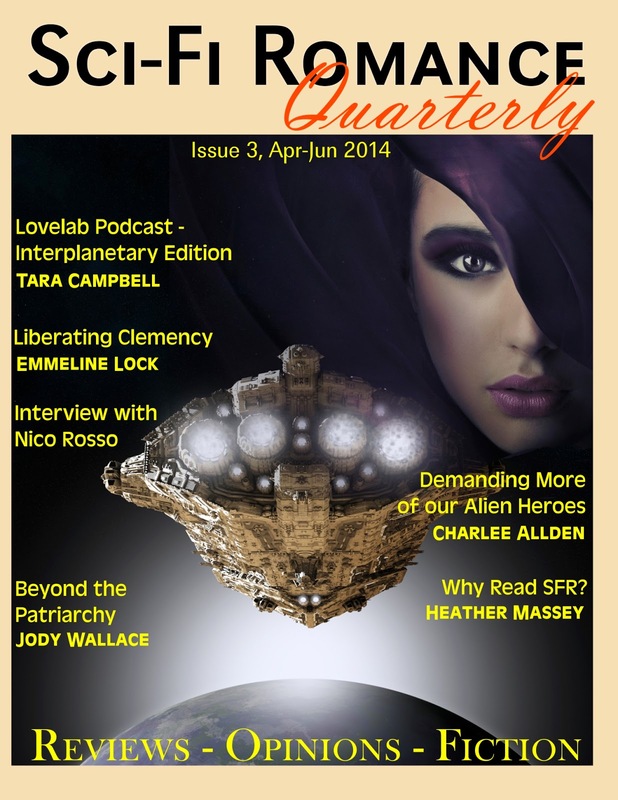 *This issue includes not one, but two free SFR shorts! *New reviewer: RK Shiraishi brings her passion for SFR to the Sci-Fi Romance Quarterly. *Jody Wallace, author of the sci-fi romance ANGELI and one of the former heads of the Science Fiction Romance Newsletter is our guest columnist this quarter. Her insightful article about patriarchies and matriarchies in SFR is a must-read. *New feature: Award-winning author Ian Sales and host of SF Mistressworks joined our team. Each issue, he'll contribute an analysis of a woman-authored science fiction book. There's nothing like a little cross-pollination to help boost the signal of women in SF/F, eh? You'll also discover an interview with author Nico Rosso (THE LIMIT OF DESIRE), a huge list of recent releases and their beautiful covers, reviews, and columns by Charlee Allden (Smart Girls Love SciFi & Paranormal Romance) and me.